Last year Derek and I picked out a pumpkin for the first time. You can see that here. It was so much fun that we decided to do it again. So, I came home for the weekend so I could spend Fall back at home for a weekend. Fall in the city is definitely not what I'm used to, as much as I love it here I miss the simple things about the country. 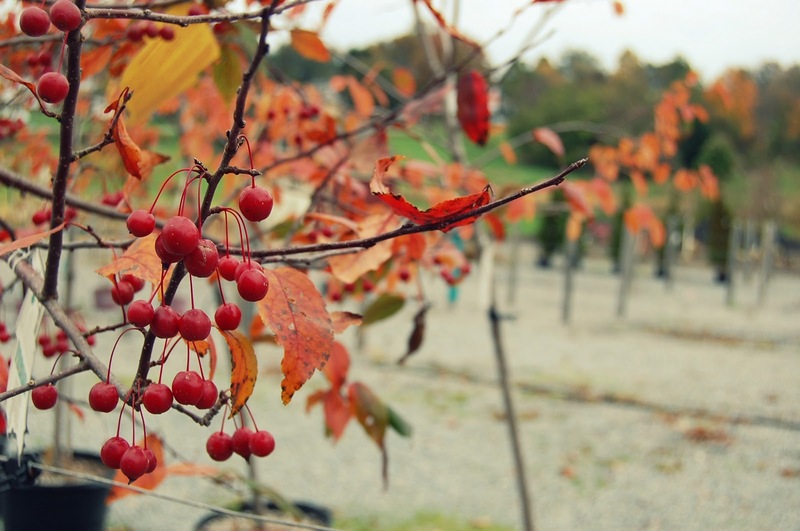 Like the mountains, the orchards, the red leaves, and buying things like in-season apples, peanut brittle and pumpkin whoopie pies. 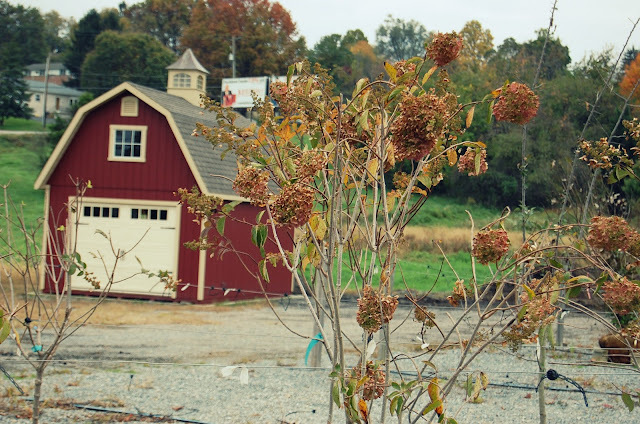 I got a taste of home when Derek took me to Browns Orchards so we could pick out a pumpkin and get some hot apple cider. Of course, things aren't perfect with this long distance relationship but it is so incredibly worth it and it makes me appreciate every moment I have with Derek even more. I had a perfect weekend with him and my friends and family. I can't wait to show you more pictures of my fall weekend! I will show you what me and Derek ended up carving on HALLOWEEN! Who else is excited as me? 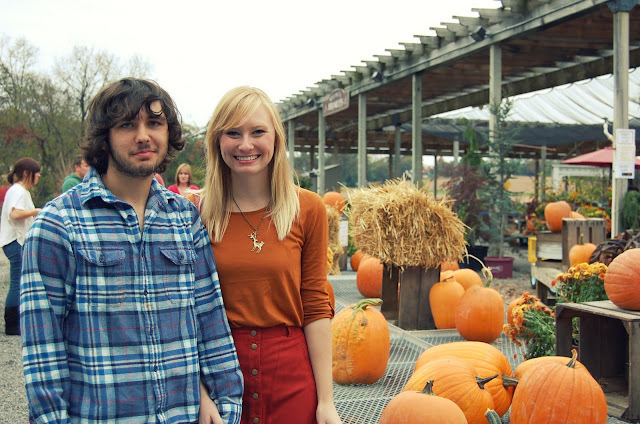 Yay for pumpkin patches! And I'm glad you two are making it work long distance-- my boyfriend and I are doing long-distance and he just came to visit me. It was wonderful! Isn't it always so great when you and the boy are reunited again? How fun! I like the lats picture, the red barn is too cute. i love pumpkin soup, i think thats my favourite thing about fall ! Such a wonderful blog. Glad I stumbled here. 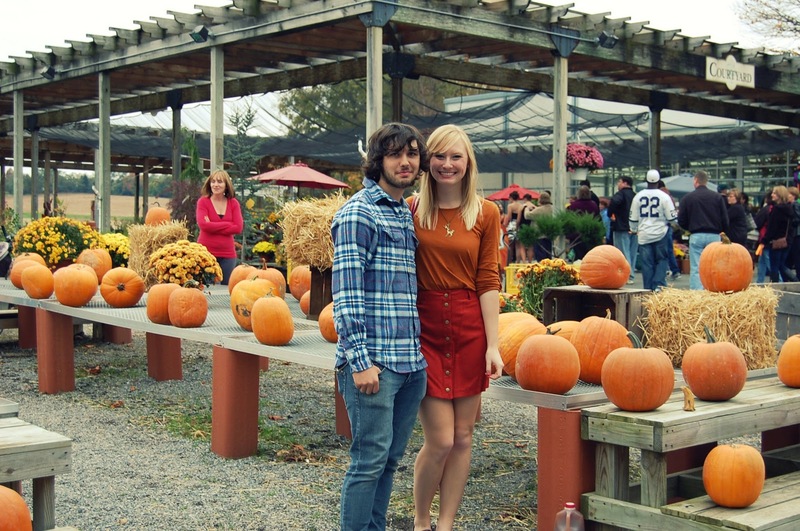 We went pumpkin picking a week ago and it's such a fun time. 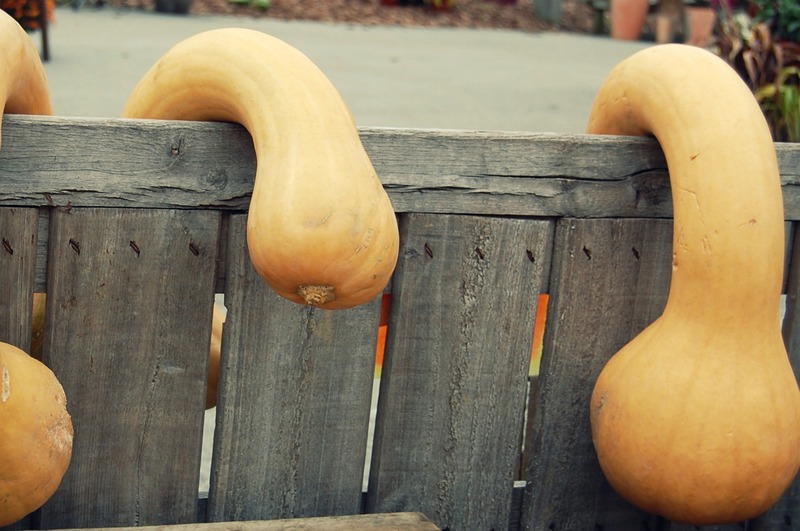 Oh, those poor squash! How do they bend like that? Ah, I love pumpkin season! 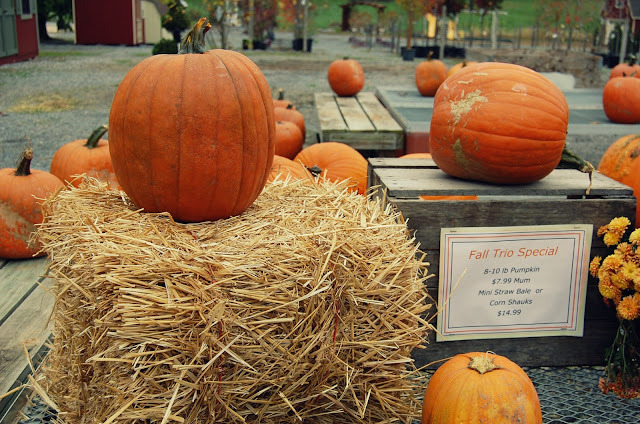 I recently went to a pumpkin patch myself. It looks like you had a lot of fun, and I am loving your outfit! Orange top + red skirt = perfect fall colors. By the way, you are really pretty! I love your pumpkin eeeesh colored top. How great that you came home to spend time with loved ones & friends... I love the country too... I get to have the best of both worlds working in NYC, but coming home to NY countryside and its only 40 minutes by train.. 15 minutes by car... Cant wait to see more pics... Good luck with you & Derek.. I love your pics, but 'm so jealous right now! 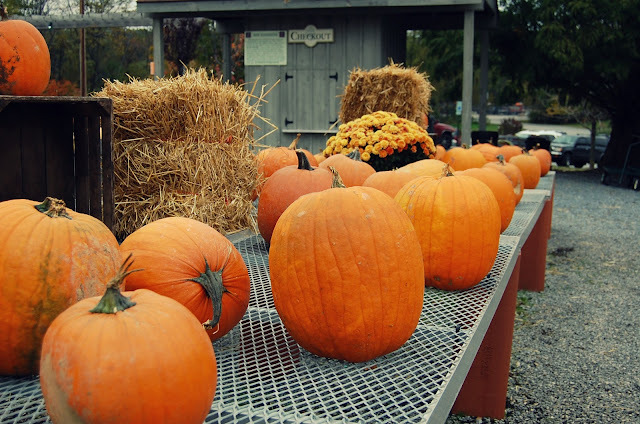 We don't have anything like this in england but pumpkin picking and hot apple cider sounds so good.. maybe I'll have to pop over to america one year around halloween time! You make a great couple :) Lovely pictures too. I haven't picked a pumpkin this year. I still have time! thank you SO much for your sweet comment on my shirt! it melt my heart! long distance relationships seems hard. my first serious boyfriend was away for 3 months and it nearly killed me (but then again, i was a teenager and 3 months felt more like 3 years). i'm very impressed by those who make it work! 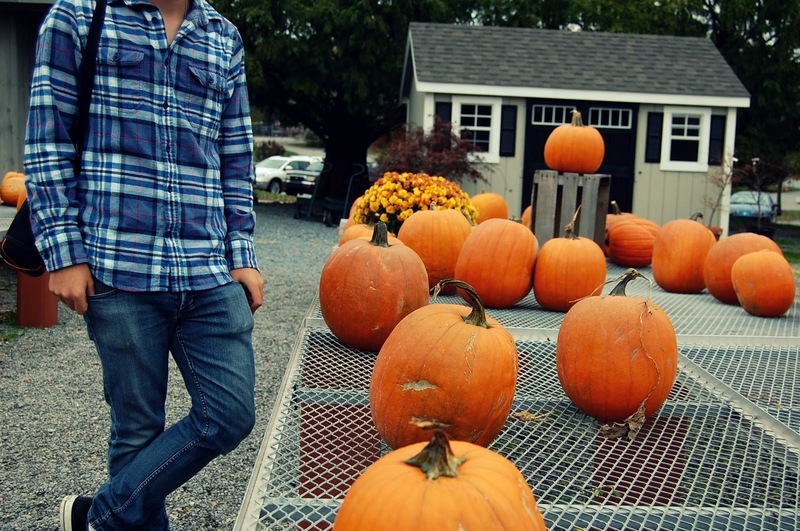 Your outfit is so perfect for pumpkin picking! I love it. love the pictures! I love the outfit your wearing!! I just got done with three years of long distance, so I know a little bit of how you feel! It looks like you had a great time tho! This looks like so much fun! I adore your outfit! I love those bendy pumpkins. The pumpkins compliment your outift :-p Loving the necklace too. Great photos.